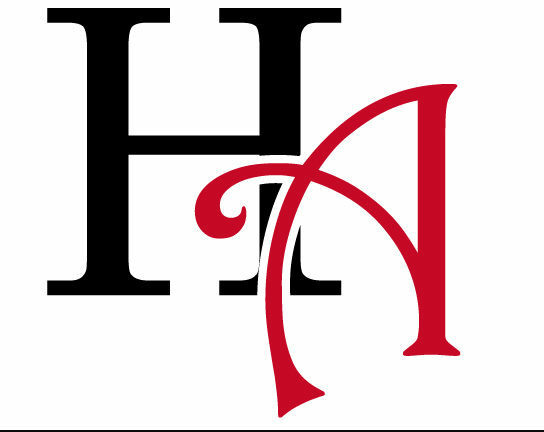 MIKAYLA CRAMER – On January 18, 2019 the American Red Cross will be holding a blood drive in the old gym sponsored by SGA. 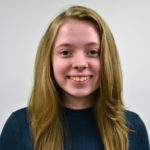 “SGA works very hard to encourage people to work with the Red Cross and get people to donate,” says SGA President and senior Payton Rayko. To donate blood one must be 16 years or older; however, if 18 or under, a permission slip signed by a parent will be needed. Females have to weigh at least 110 lbs, Males have to weigh at least 130 lbs. Iron levels also have to be in check, for males, the level needs to be at least 13.0g/dL, for females the level needs to be at least 12.5g/dL. When entering the old gym there will be lines of chairs to sit on while donors wait their turn. There will also be juice and cookies available. Whenever it’s time to donate, the donor will need to lie down on a table, the nurse will draw the blood. About one pint is given during a donation and new sterile equipment is used for each donor. O Positive is the most common blood type in America. It will be the most likely needed for a transfusion. O Negative can be used for any blood type. The plasma that is given will be reproduced by the donor’s body within 24 hours. However, it takes the body four to six weeks to replenish the lost red blood cells. Giving blood helps others. A decision to donate blood, can save a life, or even several lives. If the donor’s blood is separated into red cells, platelets and plasma, each of these can be used individually for patients with specific conditions. Many people who give blood would agree with sophomore Beza Allison who stated, “It’s a good thing knowing that your blood is used to save somebody.” Blood is a gift that anyone can give to another person – the gift of life. 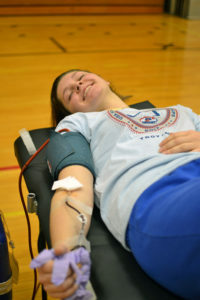 Photo Caption: Senior Madison Barker donates blood during the last IHS Blood Drive.